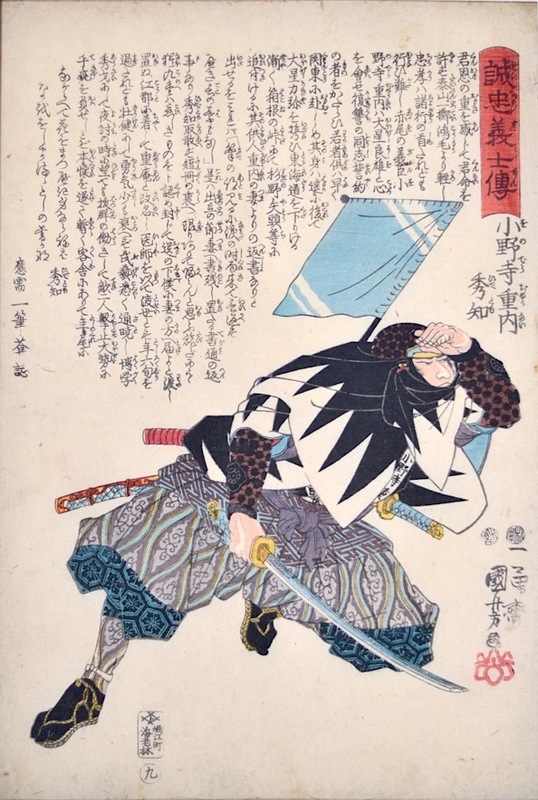 Utagawa Kuniyoshi (1797-1861) Stories of True Loyalty of the Faithful Samurai Number 9: Onodera Junai Hidetomo, 1847/48. Oban. The print is in very good condition. Many of this series are poor quality, the blocks having worn out through over use. This print is a fine early impression with strong colour and crisp lines.